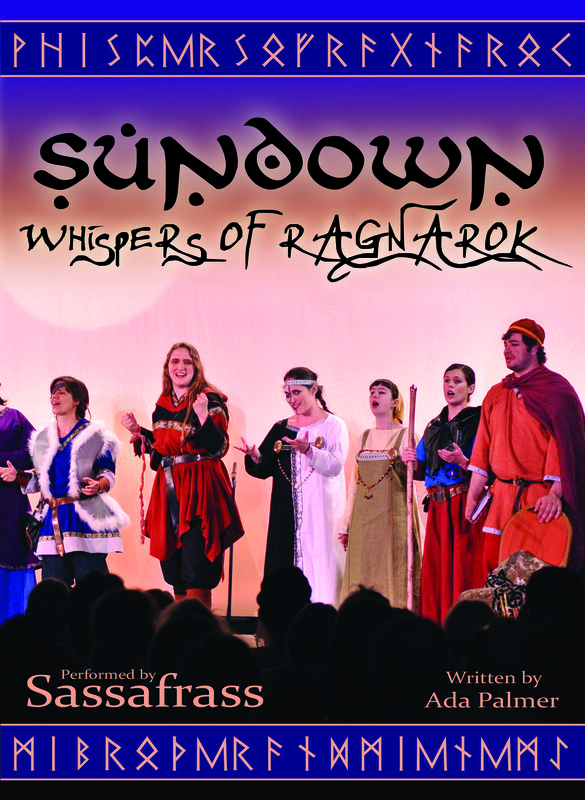 Live concert DVD of the stage debut of Sundown: Whispers of Ragnarok at Balticon, 2013. 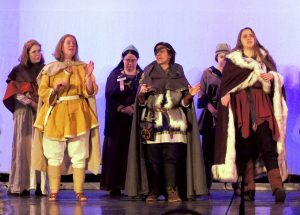 In the two-hour stage performance, the songs in the Sundown cycle form a continuous narrative, held together by a framing story narrated by Snorri Sturlson, the historic author of the Prose Edda. Camping alone in the mountains, Snorri is approached by a youth called Saemund, a descendant of Snorri’s childhood foster father, raised in the south, who says he has come north in order to learn the stories of the gods which are no longer taught in the Christian lands where he grew up. As Snorri tells his tales, he is joined by the spirit of the ancient Jotun Seeress Angurboda, whose prophecies warn Snorri of a sinister purpose behind young Saemund’s visit. These two stories unfold as the play progresses, the rise and fall the Aesir gods, and the historical conflicts that surrounded Snorri Sturlson during the last days of the Icelandic commonwealth. This DVD is region free, and can be played on all DVD players around the world. You can watch a streaming sample video of the finale chorus “Longer in Stories than Stone,” taken from a not-yet-final edit still awaiting color correction, on our Youtube channel here. 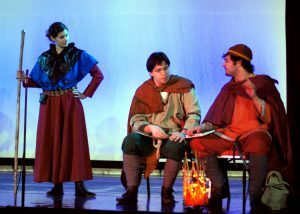 Our music is completely different in live performance, as gestures and costumes bring life to Odin, Loki and their kin. In large pieces where many simultaneous lines and lyrics braid together, the live version makes it possible to follow the individual words, expressions and moods of characters in ways no audio recording can reproduce. You can purchase the DVD from Bandcamp.